From Brittany to the Costa Brava, including Les Landes and the Mediterranean the choice is yours for your next campsite holiday. Enjoy a lively holiday in our 4 star site Les Genêts in the Finistère Sud region. Penmarc’h is just a few kilometres from La Pointe de Raz but a world away from everyday life. Enjoy some of the fun activities the campsite organises for all the family. There is lots to do in our kids’ club, 5-12 year olds will have a great time. Sporty types are also well-catered for with a football pitch and table tennis. Tournaments are regularly organised in July and August. Entertainment in the evening includes dance parties, a disco, concerts and games. A 1000 m² water park, which includes a covered swimming pool, will help you get the most out of your stay with us. Discover this campsite in the Finistère region. 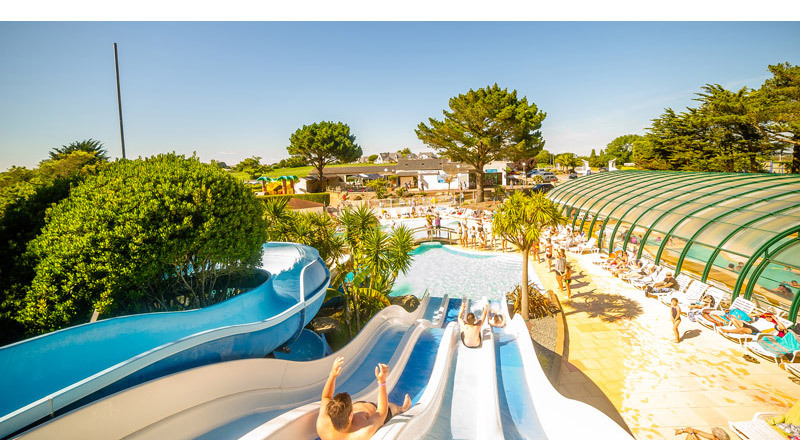 With direct access to the beach, which is only 400 metres away, the 4* L’Atlantique in Fouesnant (Finistère) is a great campsite for families with children. A covered heated pool, outdoor heated pools, a paddling pool, kids’ pool and an 80 metres long water slide comprise our brilliant 3000 m² water park! Lots of fun to be had by all! Campsite facilities include a restaurant, a bar, a shop, a wellness area, a kids’ club and there are organised activities every day in July and August ... always lots going on to keep you out of mischief! Places to visit near the campsite include l’Archipel des Glénan, Beg-Meil and Bénodet. 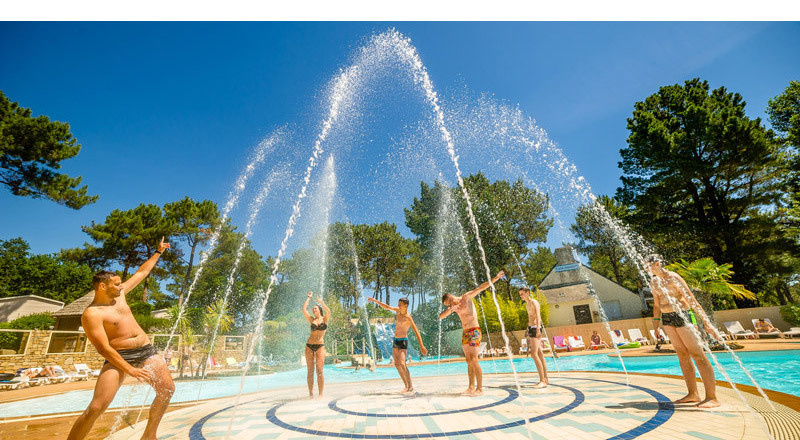 Discover l’Atlantique campsite and its water park. Situated between Lorient and Carnac, Le Moteno is perfect for discovering everything the Morbihan has to offer. There are lots of great places to visit in this beautiful area ... Belle-Île-en-Mer, les alignements de Carnac, le Golfe du Morbihan, Groix, la Ria d’Etel; if not, just relax by the campsite pool or at the beach which is less than a kilometre away. Everything is here to help you get the best out of your holiday. 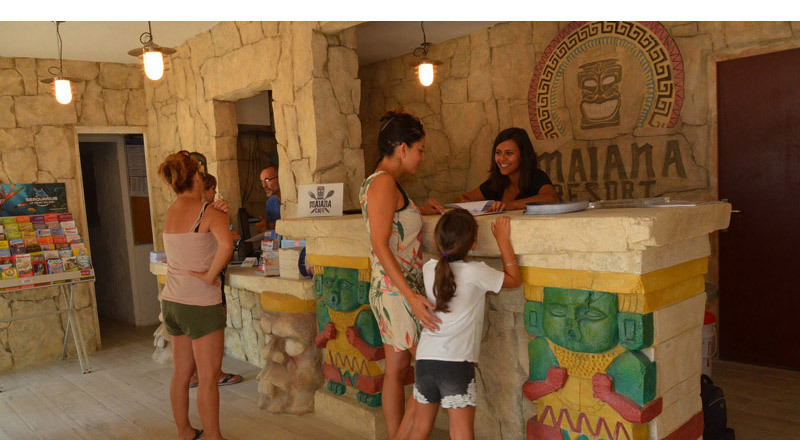 On site facilities include a restaurant, a bar, a snack-bar and a grocery store. 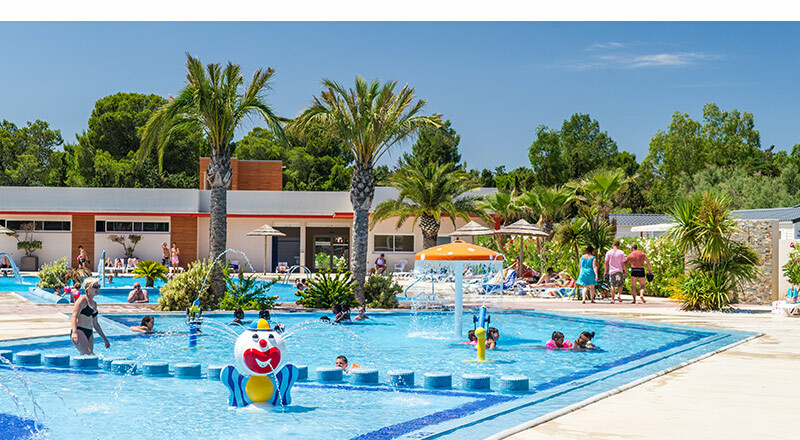 The campsite enjoys a lively atmosphere organising sporting activities and entertainment throughout July and August and during the Easter holidays. Come and discover the 4 star Moteno campsite. 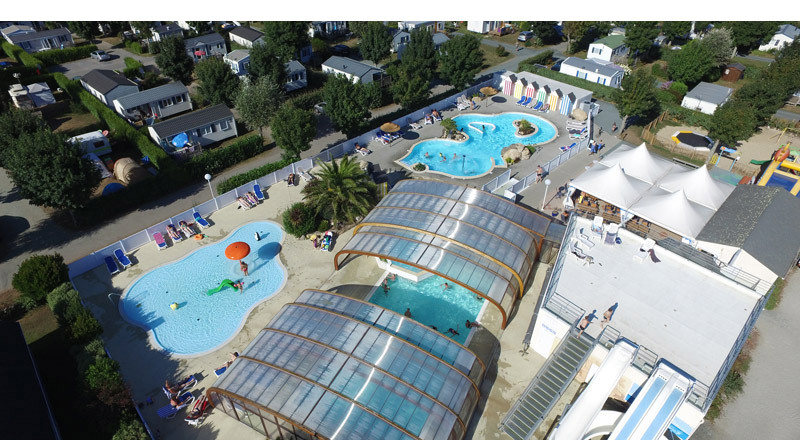 Enjoy this charming 4 star family campsite at Crac’h in Brittany. Lots to do for all ages with our water park and the organised activities in July and August. Sporting events include bubble-foot, aquaboxing, aquagym, archery initiation and lots of others ... Join in the dancing, watch a show, sing or warble to the karaoké, enjoy the games, our entertainment team is very active. The Fort Espagnol water park includes an indoor pool open from April to September and an outdoor pool with 2 paddling pools, water slides and a current channel. Discover the rich historical heritage of the Golfe du Morbihan and the Alignements de Carnac (the Carnac Stones). Discover the Golfe du Morbihan. 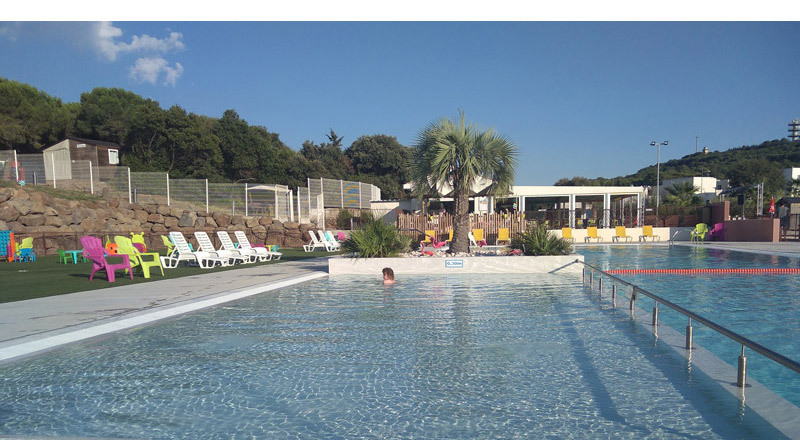 For your next family holiday why not go to Les Landes and the 4 star Le Pipiou campsite? Situated at less than 150 metres from Lac de Biscarosse the campsite is ideal if you’re looking for a more sporty holiday. In July and August our entertainment team organises lots of different sporting activities ... bubble-foot, sports tournaments, circus arts initiation, aerobics and fitness lessons and aquagym among others. You’ll be able to get the most out of our prime location near the Lac with our paddle boat and canoe rental. For sporty types who prefer ‘terra firma’ we also organise bike rental. 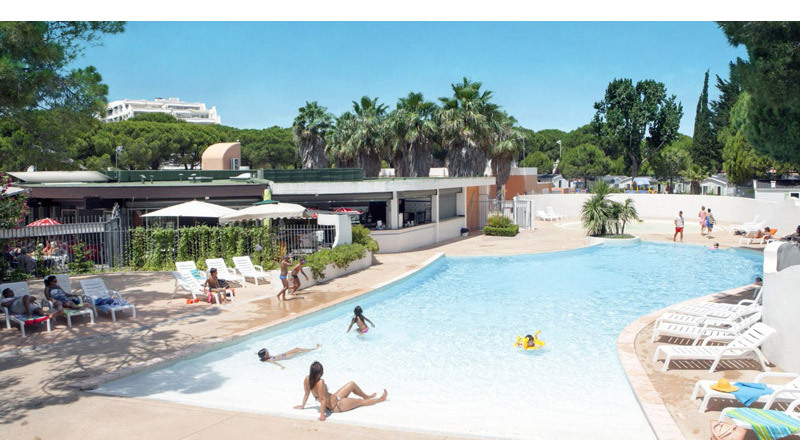 The 4 star La Plage campsite is ideally situated between the forest and the Ocean beaches. 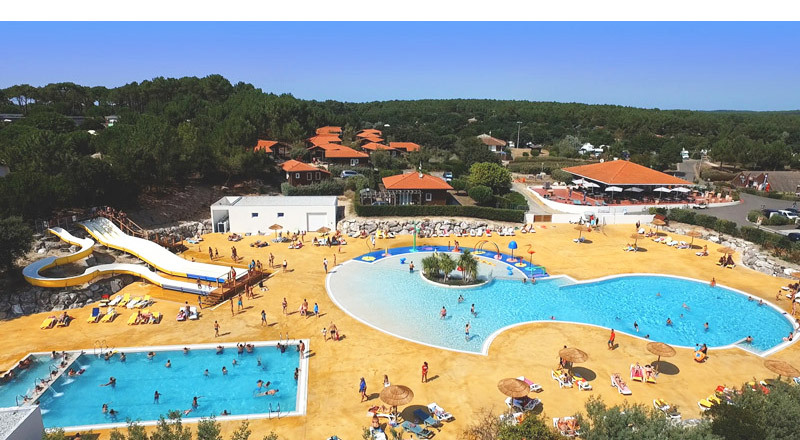 At less than 800 metres from the Ocean in the resort of Mimizan Plage, the campsite has everything you need to help you enjoy a wonderful holiday. Our 1000 m² water park includes several outdoor pools, a covered pool, a kids’ fun park, several water slides and a wellness centre. All in all a great place to relax and enjoy the sun. Sporting activities and entertainment are organised during the months of July and August. The Mimizan Plage campsite, a great place to holiday. 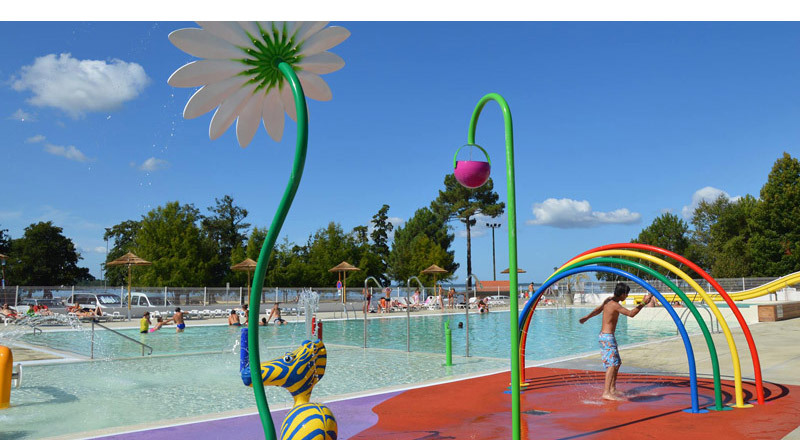 3500 m² of water park is just waiting to be enjoyed at the Le Soleil de la Méditerranée campsite : outdoor pools, water slides, a river, a paddling pool and of course a covered heated pool. Lots to do in this 4 star campsite in the Pyrénées Orientales. And there’s more! The kids will have a great time with tailor-made activities ... multisport area, playground, different sporting activities and a kids’ club for 6-10 year olds. Not far from the campsite you can visit Le Palais des Rois de Majorque and the Sigean African Reserve. Discover the Le Soleil de la Mediterranée campsite at Saint Cyprien. 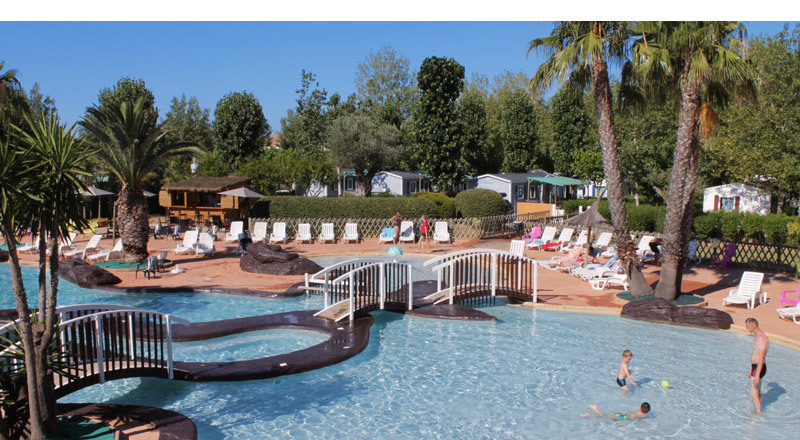 The 4 star Oasis California campsite is located at Barcarès in Les Pyrénées Orientales At less than 1 km from the South of France beaches, you can enjoy the Mediterranean sun and the party atmosphere of the campsite. Our two water parks mean there are lots of ways to enjoy some aqua fun! With our heated pools, fun paddling pools, water slides, pentaglisse, balneotherapy centre and jacuzzi you can be sure there’s something for all the family. We can keep you busy during the day ... Sporting activities, aquafun, pétanque, tennis, basketball, football, dance initiation and muscle toning. In July and August we also organise pony riding and an initiation in underwater diving (in our pool), for these activities a supplement is charged. We have a lot of fun in the evenings too ... themed evenings, karaoké, disco nights and cabaret shows. Come and join us at this campsite in Les Pyrénées Orientales. Enjoy the lively atmosphere of our campsite at Vias on the Mediterranean. An exciting campsite with lots to do. Sporting activities and evening entertainment with a party atmosphere during July and August. Our water park is perfect during the hot summer months. Freshen up in our 500 m² beach-entry swimming pool. The pool has a fun water slide a paddling pool for the little 'uns. We also have a wellness centre including sauna, whirlpool and steam room (a supplement is charged for use of the wellness centre). Our covered heated swimming pool is open all year round. Please note that our indoor swimming pool is reserved for naturist use during July and August. Herault - a great place to go camping. Our campsite is perfectly situated for discovering the Hérault region. Being only a stone’s throw from Cap d’Agde our 3 star campsite is right by the famous Canal du Midi. 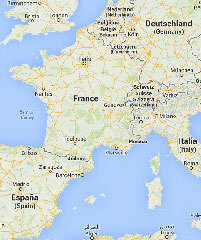 Some of France’s finest beaches are also only 5 kilometres away. Le Maridor is a great place to unwind and get away from the troubles and strife of a working life! We do organise activities in July and August ... Sporting events, fitness lessons, aquagym, themed evenings and karaoké. Enjoy a great holiday by the Mediterranean. Be assured of a restful holiday in our 4 star campsite on the Mediterranean coast. Everything you need is within walking distance, even your car gets a break. The beaches of the famous resort, La Grande Motte are 400 metres from the campsite and the town centre is a mere 800 metres. We’re fortunate to have a small shopping centre where you’ll find basic necessities ... A bread shop, a newsagent, various shops and even a nurse’s surgery. In July and August there’s a kids’ club available 6 days a week for 6-12 year olds. Themed evenings, karaoké and concerts are organised regularly throughout summer. Camping at La Grande Motte, a great way to visit this famous resort. 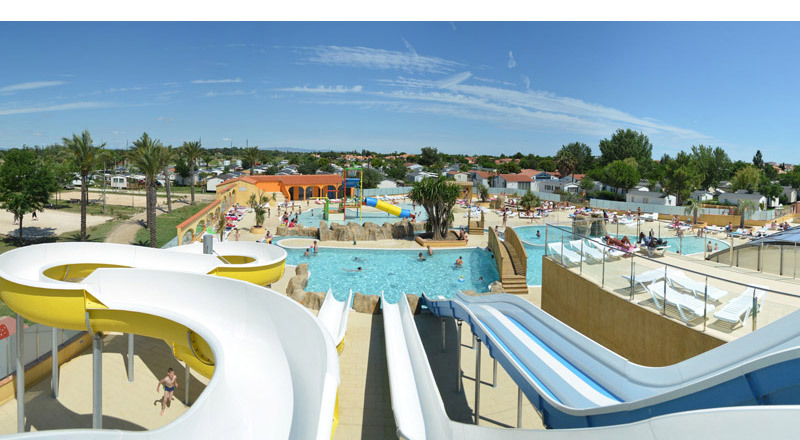 Four star camping holidays at La Grande Motte, the South of France’s famous tourist resort. The fine sandy beaches of the Mediterranean are only 400 metres from the campsite. For those who prefer the pool to the sea, the Maïana Resort’s water park is open from March to October. 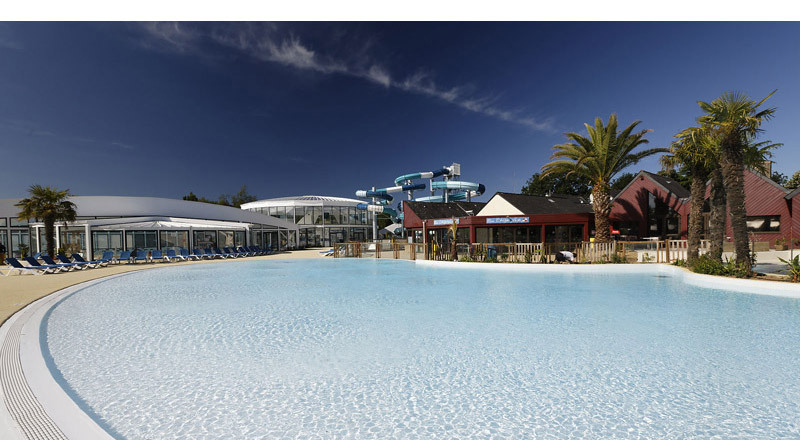 A heated outdoor pool, a fun paddling pool and water slides provide amusement for all the family. The restaurant, bar and our take away service are open throughout the season. To complete your enjoyment, our entertainment team organises various sporting activities and evening entertainment during July and August. Our kids’ club provides fun and amusement for 4-12 year olds. Enjoy a lively holiday with friends or family at the La Roca Grossa campsite on the Costa Brava. 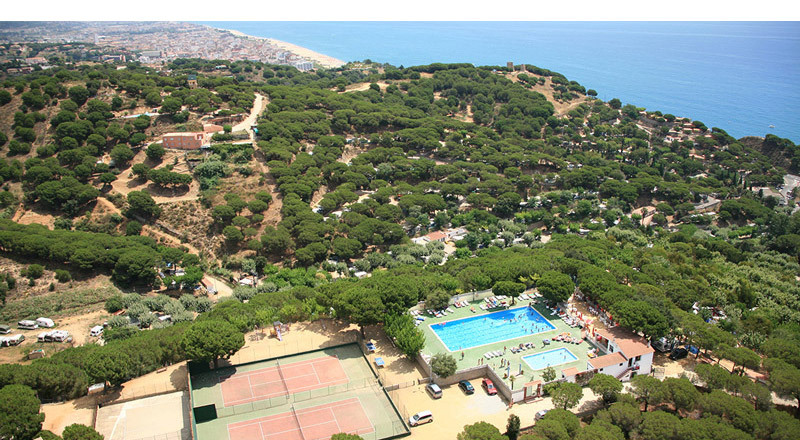 Nestling on a hill our campsite is ideally situated at 40 kilometres from Barcelona and at only 100 metres from the beach. For your pleasure and convenience we have a bar, restaurant and a small supermarket. For an extra bit of fun, and very handy from May to September, our little tractor train can take you to our outdoor swimming pool at the top of the hill. Different sports events are organised along with aquagym and of course, how could we not propose a flamenco initiation! Don’t wait any longer to go camping in Spain near Barcelona. Prolong your holidays in one of our 5 new campsites 2018 or in one of our 52 destinations Vagues Océanes.